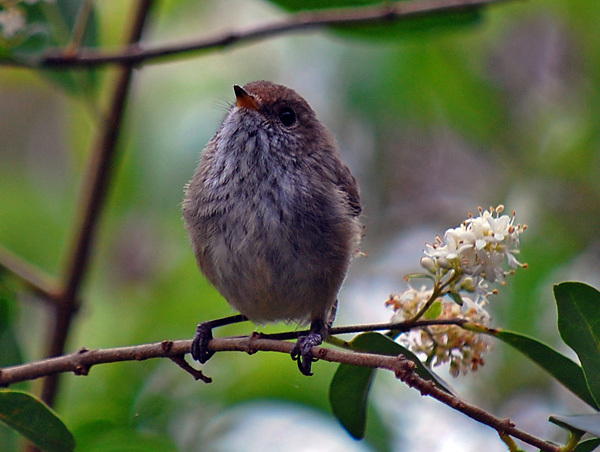 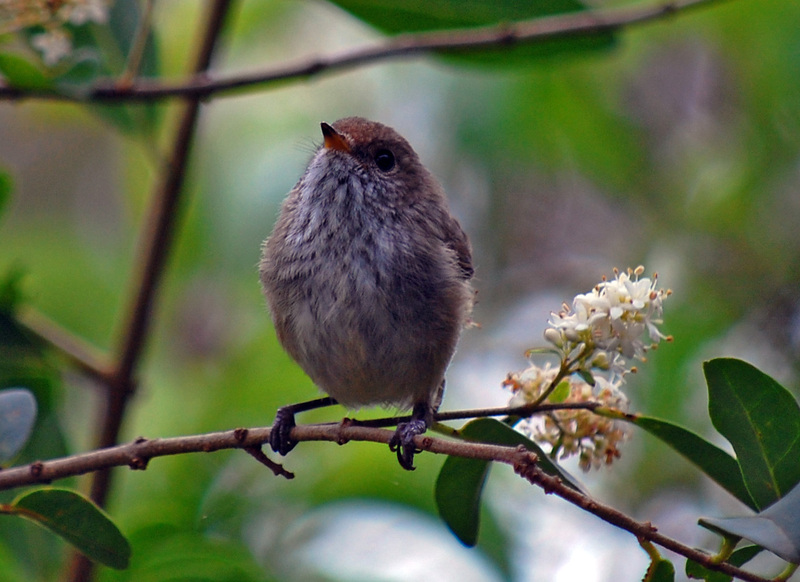 The Brown Thornbill is a very common bird in the Blue Mountains of NSW. 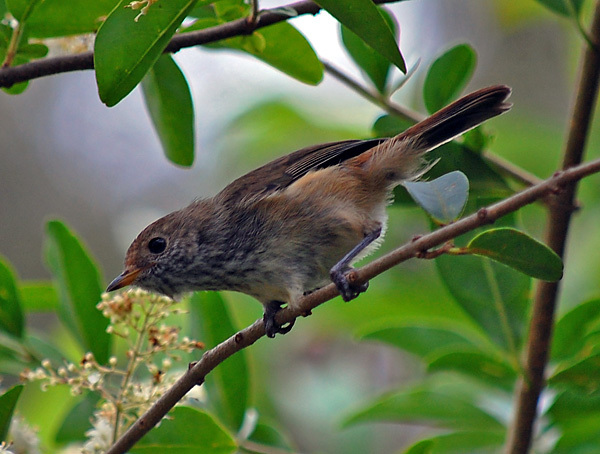 They almost always appear in flocks of several birds up to dozens of them. 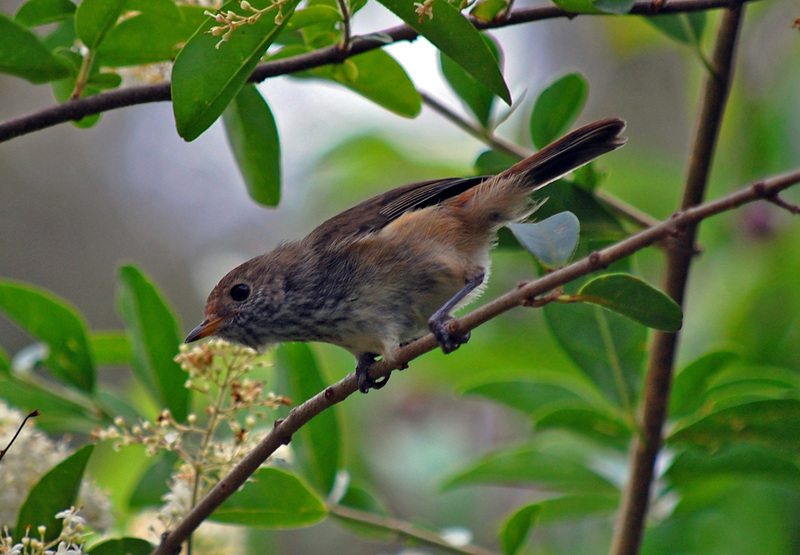 They are hard to get good photos of since they move around so often so I was stoked when I got these ones. 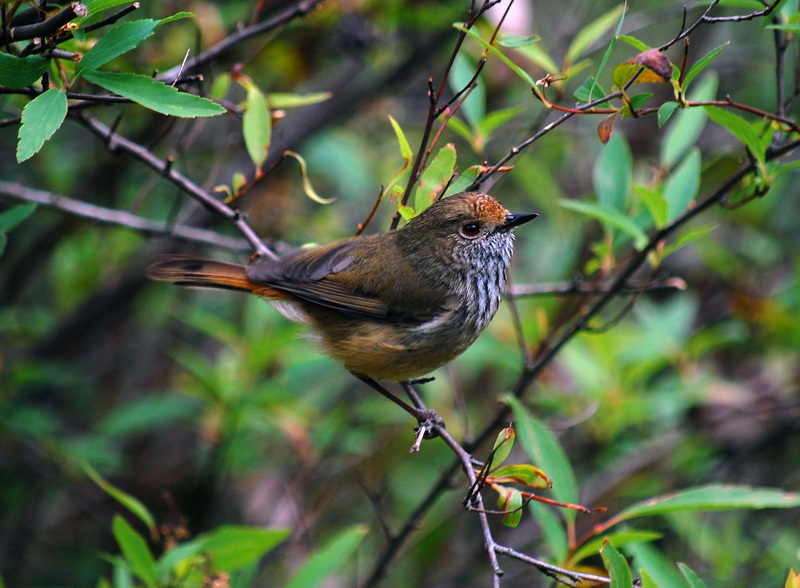 I am fairly sure these photos are Brown Thornbills rather than Striated Thornbills (or another Thornbill) due to the rufous (reddish-brown) around the rump and inner tail, and especially due to the reddish coloured eye. 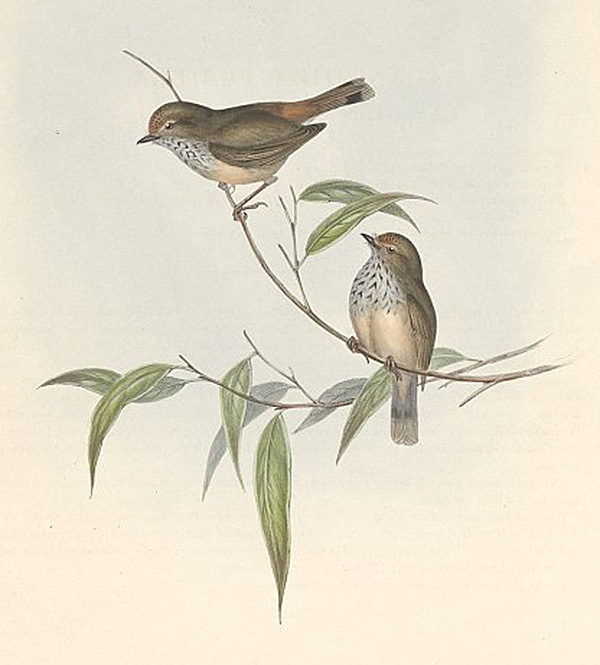 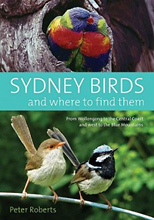 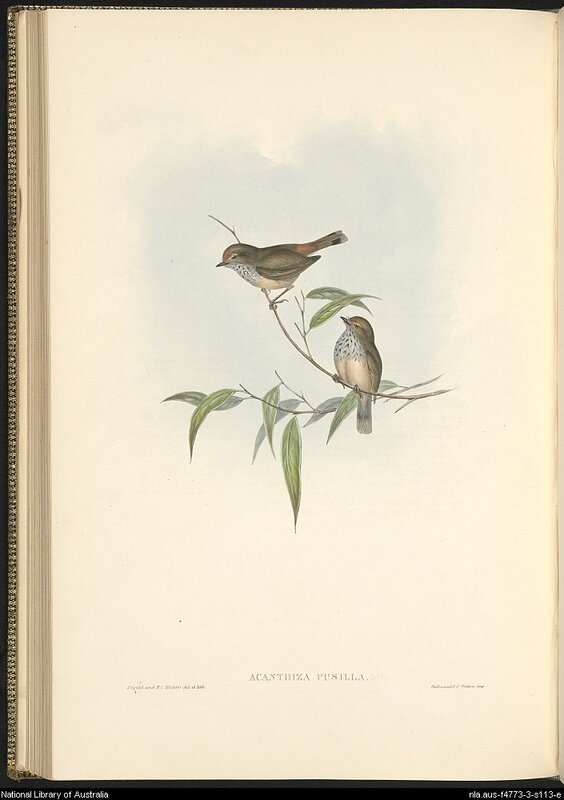 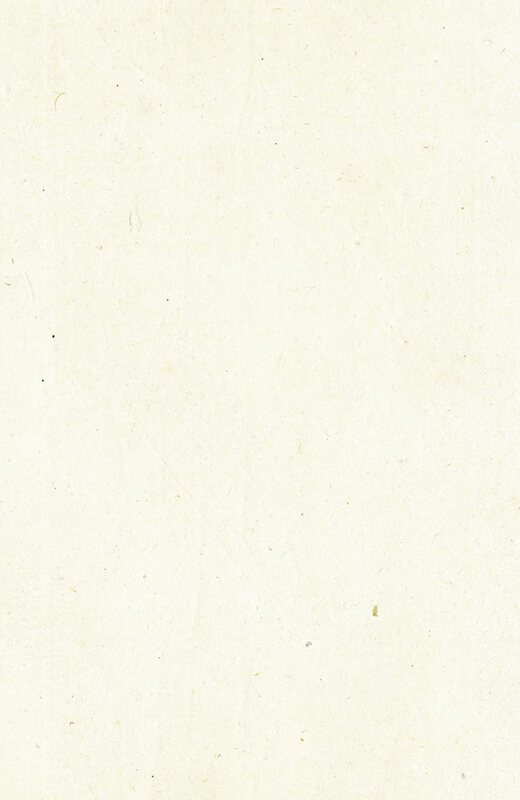 According to Simpson and Day there is no other Thornbill or related bird with a reddish brown eye in the East of New South Wales. 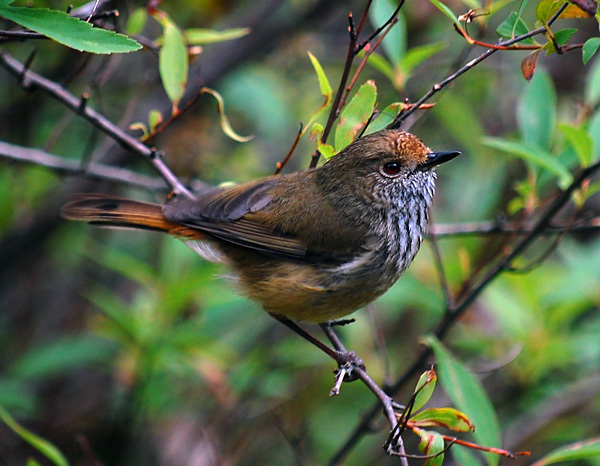 The Striated Thornbill is also common in the Blue Mountains and I find it hard to tell the difference, without a close up of the eye like in the photo below.